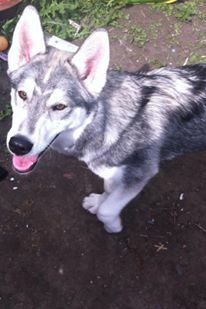 We are sad to be selling our 6 month old husky Skye due to personal circumstances. She is a typical, hyper, playful and very loving girl. She is such a beautiful dog who is great with kids (but can be clumsy around toddlers,as any dog can be) she loves other animals, with a similar playful nature and she loves going for walks or playing fetch.